Chrome Plated Construction: Bully Imposter Grilles are constructed from high grade ABS and triple coated with chrome for a long lasting, stylish mirror finish. Custom Fit: Engineered to fit perfectly over your factory grille. Easy Installation: Can be installed in as few as 20 minutes without drilling or cutting. Customize your ride easily with an Imposter Series Chrome Plated ABS Billet Grille. Bully billet grilles are constructed from impact-resistant ABS that is triple chrome plated to a gleaming solid mirror finish. Bully Imposter chrome grills are built tough enough to survive the harshest winters and the most blazing summers without the mirror finish chipping or cracking. 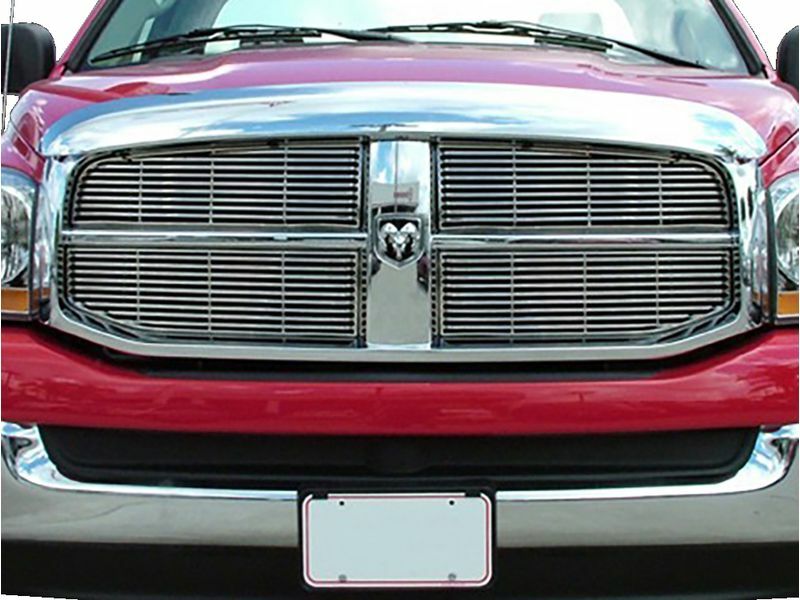 Bully Imposter billet grille inserts are a complete replacement grill and install easily on your truck or SUV. This product offers an easy, at home no drill installation. The installation manual is clear cut and easy to read. For additional information, please call us toll free at 1-866-309-1907 or 701-253-5906.